The column, which is not accessible online, was unearthed by blogger Jeryl Bier. "The article is entitled "Bills must stop deportations for minor offenses" and addressed the problem of legal immigrants deported for technicalities and other relatively minor issues," he wrote on his blog. 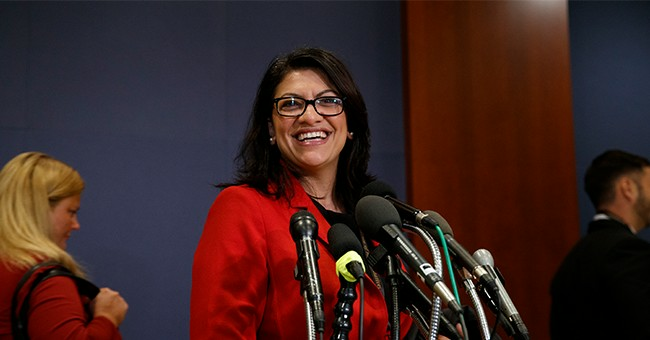 Tlaib has faced significant criticism since her election over her ties to anti-Semitic Palestinian activists and her support for the Boycott, Divestment, and Sanctions movement, which seeks to put financial pressure on Israel. In January, she attended a dinner with Palestinian activist Abbas Hamideh, who has referred to Israel as a “terrorist identity” and likened the state’s underlying ideology to that of ISIS. While Tlaib's office did not respond to Bier for comment, a spokesperson did issue a statement to Business Insider. "The piece was from 2006 and was not an endorsement of Farrakhan or anyone for that matter," the spokesperson said. "The Congresswoman has not had any direct contact with Farrakhan and condemns his anti-Semitic and anti-LGBTQ views."